Used test: BMW i3 vs Volkswagen e-Golf | What Car? Tall adults will have enough head and leg room in the front of either car, but the i3’s narrower body means less room for shoulders. There’s a wide range of adjustment on both cars’ front seats, but the VW e-Golf’s backrests adjust using a wheel, meaning it’s easier to fine-tune a position than with the BMW i3’s lever. Forward visibility is good in both, but the e-Golf’s larger rear screen and thinner pillars give you a better over-the-shoulder view. The e-Golf is the more spacious in the back, offering more head and shoulder room, as well as more knee room. The i3 also has only two rear seats, although a couple of adults will sit in relative comfort. 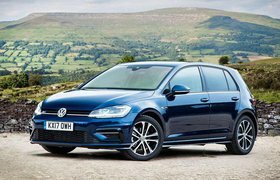 Families will find the e-Golf easier to live with because three children can sit across its rear seats, and the conventionally-opening rear doors make access much easier in car parks. The e-Golf’s boot has a wider opening and the load bay is longer, deeper and wider than the i3’s. As a result, slotting in a suitcase can be a tight squeeze in the i3, whereas the e-Golf makes an easy job of it. Both cars’ rear seats split (the i3’s 50:50, the e-Golf’s 60:40) and fold to let you extend the load area. The i3’s seats are more fiddly to fold, although they do lie flatter than the Golf’s when down. 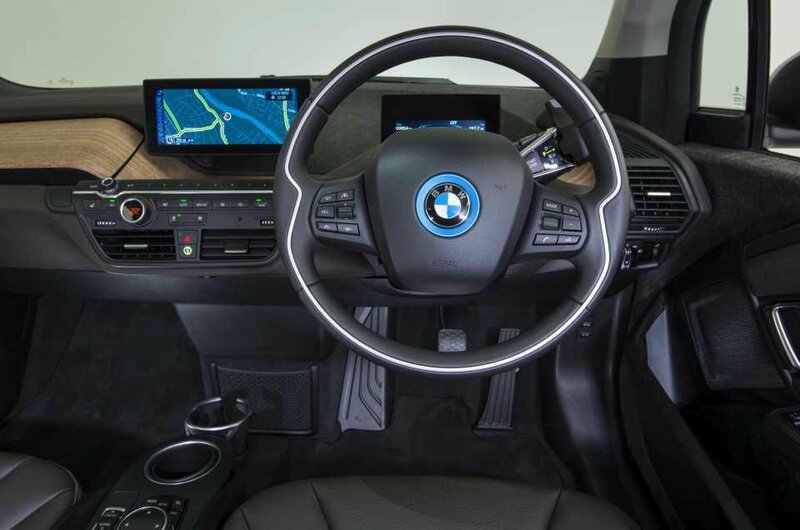 BMW has done a superb job with the i3’s dashboard. Its layout is seriously user-friendly and the materials all feel solid – the use of recycled materials offers unique but surprisingly high-quality textures. BMW’s iDrive infotainment system, meanwhile, remains one of the easiest to use on the market, and the i3’s 6.5in colour screen is super-sharp. 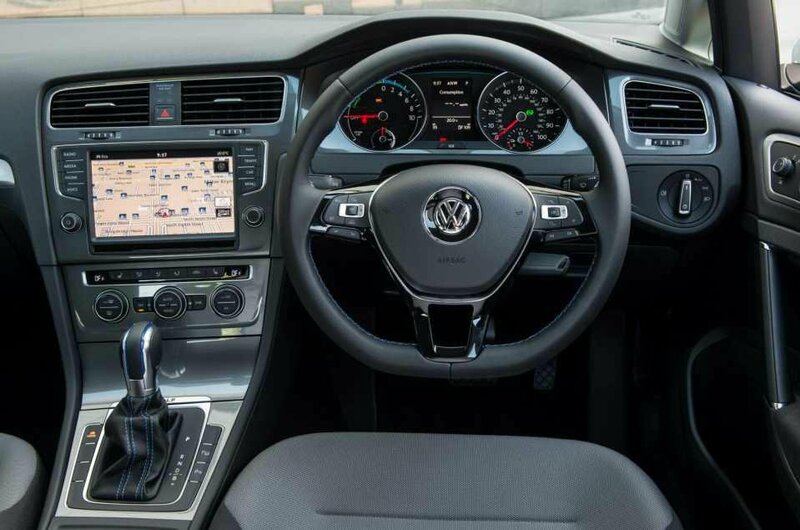 Aside from some blue detailing on its steering wheel, gearlever and door trim, the e-Golf’s interior is much the same as any other Golf’s. That means the plastics feel dense and solidly constructed, although you might find the design a little dull by comparison with the i3’s. It’s certainly functional, though: the 8.0-inch touch-screen is really responsive, with simple menus, and the climate controls are easy to reach and logically laid out.